Use a Groovy Script flow step with standard JAVA JCE/JCA Classes. Use a Groovy Script flow step with third party jar i.e. Apache Santuario . The Apache XML Security for Java library supports XML-Signature Syntax and Processing, W3C Recommendation 12 February 2002 and XML Encryption Syntax and Processing, W3C Recommendation 10 December 2002. The advantage of using Apache Santuario jar is, it is written as per the W3C recommendation, so you only need to pass the Encrypted XML, it automatically finds the encrypted key + algorithm and encrypted data + algorithm to give you the final decrypted XML. Where as in 1st solution, we need to find the encrypted key first, decrypt it and then use the decrypted key to decrypt the data and finally append it to the original XML structure. But this approach do not require any external jars. In this blog, first solution is used. As you can see in the above screenshot, we receive the encrypted XML payload via SOAP adapter then log the payload and finally send the payload to XML Decryption groovy script flow step to get the decrypted XML. To decrypt the AES key which is encrypted via RSA algorithm, first we need to get the private key pair from the CPI keystore. 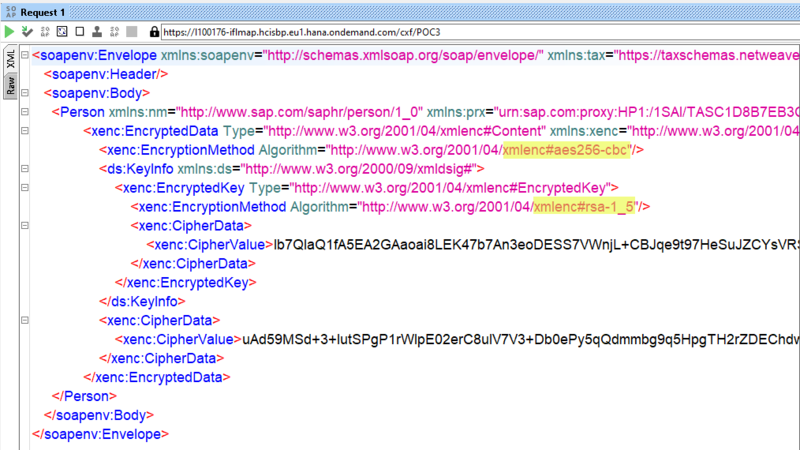 Then extract the encrypted AES key and AES Data(Encrypted XML) from the given XML. Decrypt the AES Key string using the private key which we got in step 1. Decrypt the AES Data string(Encrypted XML) using the AES key which we got in step 3. Append the Decrypted XML to the original XML Structure. First of all Xmas for you and thanks for such nice blog. Why you could not used it instead of go for custom solution using groovy. 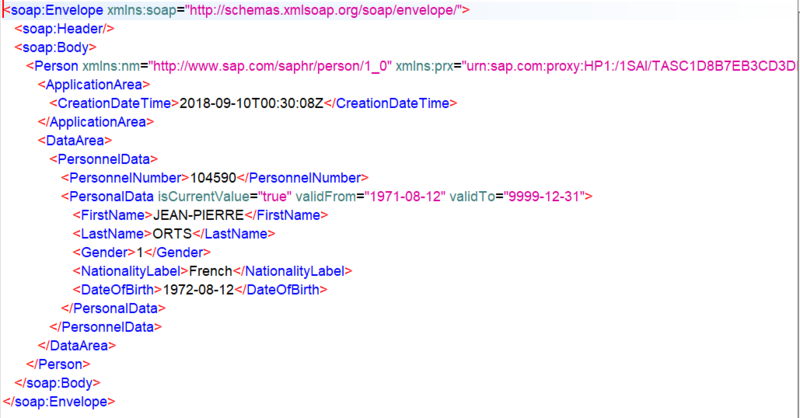 I was not able to check those functionalities but I tired in the past produce POC using the SOAP adapter with encrypt and sign and not works proper with SAP PO. Kindly excuse me for replying you late on this. As of today there is no flowstep in CPI which understand the encrypted XML and can encrypt/decrypt the XML payload as per the specification. In an existing example the XML data is encrypted via AES256-CBC symmetric algorithm, where key is encrypted via RSA – asymmetric algirthm and is part of the XML payload itself. You can encrypt the entire XML or part of it. PGP and PKCS7 decryptor do not understand the encrypted XML specification and syntax and therefore cannot be used. 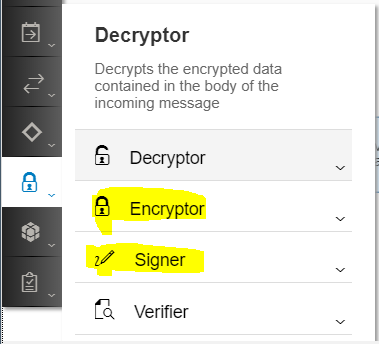 Where as Signer is used for creating a digital signature and has a different concept and usage than encryption. Kindly go through the specification to understand this in detail.